Clash Royale has picked up wins for Small Screen Game of the Year and the overall Game of the Year at the 2017 Finnish Game Awards. Supercell's latest beat out the likes of Fingersoft's Hill Climb Racing 2, Kopla Games' Nonstop Knight, Traplight's Big Bang Racing and Seriously's Best Fiends Forever in the Small Screen category. 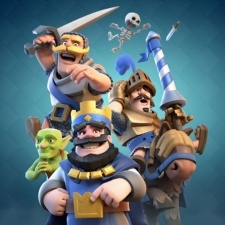 For Game of the Year, Clash Royale won out over other nominations Nonstop Knight and Hill Climb Racing 2, as well as console titles Quantum Break and Alienation. Kopla Games didn't go home empty-handed, picking up the award for Best Rookie. There were no other mobile winners, but Hill Climb Racing 2 picked up another nomination in the Creative Achievement category, while Lightneer's Big Bang Legends was nominated in the Applied Games category. Clash Royale has picked up a number of awards and nominations at the start of 2017. Most recently it picked up two nominations in the Nordic Game Awards in the same categories it won at the Finnish awards.